Laquan McDonald: Kim Foxx on why Anita Alvarez mishandled the Jason Van Dyke case. A former prosecutor, now running to be Cook County state’s attorney, decries Chicago’s crawl to justice. Alvarez’s decision-making during the investigation of Van Dyke holds special relevance in light of the re-election contest she faces in March. 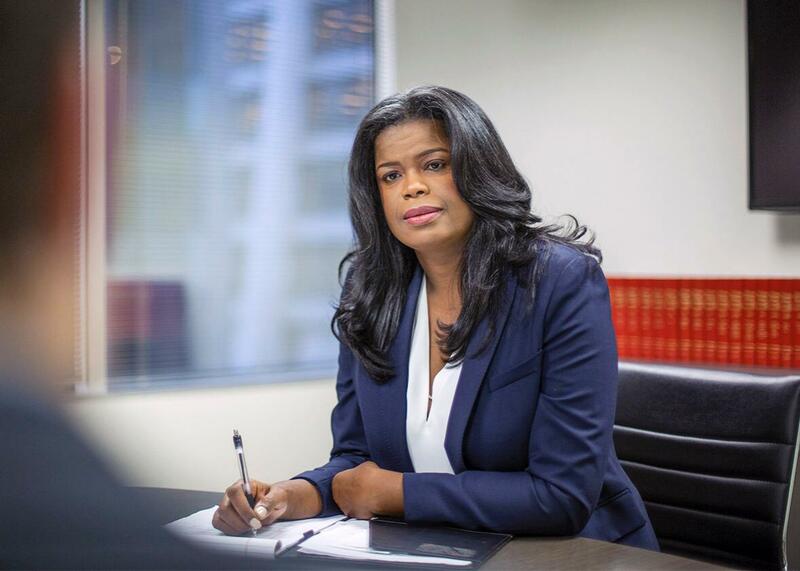 Among her challengers is Kim Foxx, a former prosecutor in Cook County who is running on a reform platform, and who has not been shy about condemning her old boss’s handling of the McDonald case. I spoke to Foxx by phone about how she would have approached the Van Dyke investigation differently, why police officers seem to escape accountability so often, and how public opinion about how prosecutors should do their jobs has shifted in recent years. Our conversation has been lightly edited and condensed. So what I would say is it took 13 months because they were waiting for the heat of Ferguson to die down. Laquan McDonald was killed in October of ’14, which was two months after Ferguson. This was a case that was eerily similar to that one, and the state’s attorney’s office didn’t want the heat. Why would having the charges against Van Dyke come down in the immediate aftermath of Ferguson be undesirable, from the perspective of the state’s attorney’s office? I think they didn’t want civil unrest. If you see the video, it’s so egregious that on the heels of Ferguson, where you could get away with a BS grand jury—like, “Oh no, they couldn’t indict, what can you do?”—in a case like this, you can’t shrug it off. It’s right there. And I think there was a fear—and I don’t think it was just the state’s attorney, I think it was the city as a whole, and the mayor, and the police department: everyone was concerned about the image of Chicago and what would happen if Chicago added its name to the list of places where young African-American men were being shot at the hands of police. How would you have handled this investigation differently? First and foremost transparency in these types of cases is critical … So at a minimum I would have not encouraged or been complicit with the city’s suppression of the video. I would not have gone along with that. And the argument that it would taint his ability to get a fair trial, or it’s prejudicial—it is what it is. It’s public. It’s a video from a dashcam. It’s public. Do you think prosecutors in general are feeling more pressure these days to charge police officers in questionable on-duty killings? Why has it been so common, historically, for officers not to face criminal charges? There are a couple of reasons. One, I think when you’re charging someone who does something in the line of duty, there’s an inherent fear on the part of some prosecutors about being the one to define when a line has been crossed. Sometimes it’s so blatant—pistol-whipping people, putting guns down people’s throats—that you don’t have to worry about the line. But I think when the line becomes fuzzy, when you believe that you’re on the side of the good guys against the bad guys, but your good guys engage in bad behavior, you don’t want to all of a sudden lump them in with the bad guys, so you do nothing. Prosecutors tend not to want to blur the line between who wears the white hat and who wears the black hat. Is it true, in your experience, that prosecutors’ offices have intimate relationships with police departments? Is that part of why officers usually don’t get prosecuted for misconduct? Yeah, I mean, the state’s attorneys get their cases from the police department. The state’s attorney’s office does not go out and arrest people or investigate their own cases. They are dependent on the police department bringing the cases to them. And so there is a relationship. But it should be a checks and balances relationship. The state’s attorney should be asking the right questions: Was this evidence obtained legally? Did you get Miranda? Was the stop proper? It shouldn’t be a blanket whatever-the-police-say goes. At the end of the day, the prosecutor is the gatekeeper of justice. So when police officers do things that are inappropriate, it’s up to the prosecutor to say, “I’m not gonna let this fly.” That’s the role of the prosecutor. In an interview you did with Chicago Magazine, you said that when you worked in the state’s attorney’s office in Cook County, you had to follow policies that weren’t aligned with your ideas about what prosecution should be. What did you have to do that you didn’t want to do? So, I was a supervisor at the time that I left. I’d been a supervisor the entire time I worked with Alvarez, so I was responsible for managing younger attorneys—12 attorneys at a time—who worked juvenile justice courtrooms. And with the state’s attorney, [the mandate] was: Charge high on everything. Just charge it. And to me that’s not justice. The state’s attorney would say, for example, “Not only did this kid break the window, he got in the face of the person who was there, so that’s an aggravated assault.” The idea was, you charged the highest offense and it would work itself out later. There have been a few elections recently in which progressive prosecutors have won. Scott Colom in Mississippi, James Stewart in Caddo Parrish. What does that signal to you? I think people have realized that we’ve done the tough-on-crime boogey man approach for the last several decades, and it hasn’t gotten us anywhere. I think we can keep trying to scare people into believing that the solution to our ills is locking everybody up and we’ll all feel better and be safer—except we’ve locked up so many people, and they come out, and they go back to the same communities that are now devastated because we have such a high concentration of people with felony convictions living in the same neighborhoods—who also have the worst schools, who also have the highest unemployment rate, who also have the highest poverty rates. All those things go together, and people have realized we’re not any safer. I think there’s finally been this realization that the trend toward mass incarceration and the costs associated with it have not been a good return on investment at all. So I think people are tired, and they’re looking for innovative and thoughtful solutions to systemic issues, and not just someone who can assure you that they’ll lock up the next bad guy for three years until he gets out and then lock him up again. So what decisions would you make differently than a tough-on-crime prosecutor? Same with the school to prison pipeline: In Cook County we arrest children for fighting on school grounds, which is an aggravated battery in Cook County, which means we’re charging them with a Class 3 felony. We know that kids should not be fighting—we know that. I have kids. They do that. They drive me crazy. But why am I having you fingerprinted and photographed and booked and giving you a record for disciplinary issues? As prosecutor, I’m not gonna prosecute cases that come from the school house that could best be dealt with in the structure of discipline.